It is with great pride we begin this new path here at Southern Smarts. As many of you know the major focus of Southern Smarts is “simple living for simpler times’. Unless one has been living under a rock, we have recognized the economy has been sluggish at best. Millions of people have found their lives changed forever and most look for exciting and innovative ways to recover. An important segment of society that has been hit particularly hard is the 40-65 year old range. Through Corporate downsizing, and changing opportunities we are finding ourselves in the unique position of reinvention. companies no longer recruit in a traditional way. Older hiring practices have become obsolete. How can a group of educated, hardworking, and sensical potential employees become the work force of the future? How can this group highlight their skills, and share their many talents? Ultimately, how can this important group blow through many superficial barriers, and do what they do best? 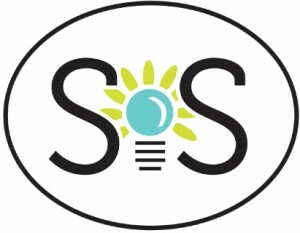 This unique group has inspired Southern Smarts to focus on the “New Entrepreneurs”. These folks are taking their lives in new directions by starting new businesses and giving opportunities to themselves and others. It takes courage to switch gears anytime in life, let alone towards midlife. Many of us had planned, focused, and worked hard for many years to reach success and secure our futures, and we can do it again! In the future, we will highlight people who have become a little older, and a lot wiser. They have faced huge challenges, and transformed them into something personally and economically rewarding. We would love to hear your stories, and hope you enjoy all we have to share. Southern Smarts will now be featuring a new Entrepreneur every two weeks that are making a difference and creating new lives for themselves and their communities. We certainly hope their stories will help promote their businesses and give hope to those that are trying to embark on their own path. We encourage all our readers to please let us know if they or someone they know would like to be featured . We are so excited to be starting this new path and look forward to hearing from all of you. You may visit our FB page and comment or send us a private message regarding a featured entrepreneur. Stay tuned to hear about Stephanie Wade, our first featured entrepreneur.